A history of the World Health Organization, covering major achievements in its seventy years while highlighting the organization's internal tensions. An accessible primer for courses on human neuroimaging methods, with example research studies, color figures, and practice questions. Emphasizing interpretation of results, this hands-on guide explains why, when, and how to use mixed models with your data. 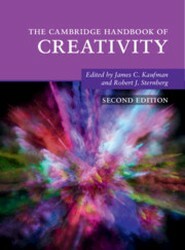 The largest and broadest-ranging Handbook of creativity yet, presenting comprehensive, rigorous, and up-to-date scientific scholarship on creativity. The first book to give an integrated theoretical framework for understanding the complexities of health and illness in close relationships. A comprehensive account of the most recent developments in modern ophthalmic optics, including free form technology.